Dealing with customer service is the bane of my existence. If I could pay someone to do it for me I probably would. There are only so many ways to contact a company, and each one has severe drawbacks. When you try a telephone call, you risk spending valuable time navigating phone trees and waiting on hold, only to try explaining the problem to someone who may not understand your issue, may not know the finer points of English, or just may not be able to help. When you try email, you may have to wait days to receive a form letter that doesn’t even address your problem. Using the fax machine or sending a letter only increases the odds of an unsatisfactory or untimely response. The latest innovation in customer service is the online chat session. 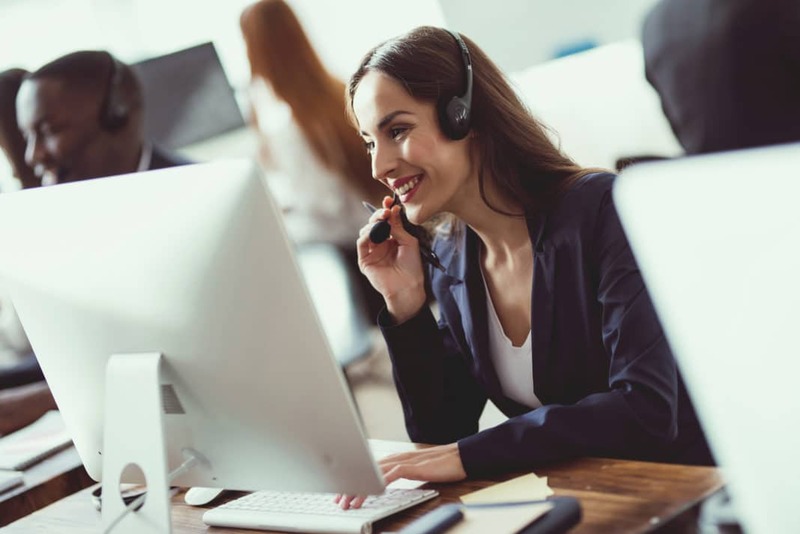 Unlike previous “advances” in customer service technology like phone trees, voice recognition systems, and international call centers, online chat sessions have enormous potential to truly improve the quality of the service you receive. Consider these seven ways to use chats to your advantage. How many times has a customer service representative made you an offer over the phone that never materialized? In the past, all you would have is your word against theirs. Sure, the conversation “may have been recorded for quality assurance,” but I have yet to encounter a company that will play it back to corroborate your claim. When you communicate via an online chat, you can easily copy, paste, and save the session for later reference. Most companies even automatically email the transcript to you. I recently received a $100 service credit after presenting a chat transcript in which a representative promised me a $100 rebate. While the company later tried to claim that my purchase wasn’t eligible, I had their representative’s word in writing that I would receive the rebate, so they had no choice but to offer me the credit. I always try to get the most favorable customer service outcomes, while trying to be polite and professional at the same time. If I’m having trouble as a customer, I can only imagine how bad it must be for that company’s employees. When I chat online, it is so much easier to express my dissatisfaction without getting upset. I don’t face the temptation to raise my voice or get overly emotional when communicating by text. I have also found myself far less bashful when it comes to asking for compensation from a customer service agent. All I have to do is type, “I am not satisfied, and I would like some compensation.” Whenever I have done so, the results have exceeded my expectations. If you try to contact a large company, you’ll quickly experience the global nature of our economy. I have nothing against anyone, in this country or another, who does not speak English with the same accent I do. But accurate communication, especially when it comes to resolving disputes, can be impossible over the telephone when speaking to someone with a vastly different accent or without good phone etiquette. In an online chat session, accents and vocal quality are never a concern. I can also cut and paste lengthy order numbers, tracking numbers, and confirmation codes without worrying that the customer service representative and I aren’t hearing each other correctly when it comes to letters and numbers. We save time by not repeating ourselves and correcting each other. There are many reasons you may need to assist someone else with their customer service problems, yet you may not wish to actually claim to be them over the phone or in person. For example, my wife and I often place customer service requests for each other. Even more often, we’ll help our parents with computer and tech issues since we have a better understanding of the language and problems. We’re not cheating the system, but I can’t pose as my wife over the phone. When you participate in an online chat, you can easily represent a family member without feeling like you are lying. Customer service chat sessions save you time in many ways. When you initiate a chat session, you will rarely find yourself on hold for as long as you might when making a phone call. While the duration of a chat session may be longer than that of a typical phone call, your time spent interacting with the company is only a fraction of the time you’d spend on the phone. While trying to resolve a problem online, I can talk on the phone, complete other tasks, or even conduct simultaneous chats with other companies. I find myself being far more productive while waiting for chat responses than while waiting on hold on the phone. How often have you found yourself re-entering and repeating your account number, social security number, or the nature of your situation to different phone representatives? Shouldn’t the system show your number once they have it, and isn’t the basic issue already on the record? Since chat sessions are simple, sharable text versions of your conversation, other representatives can easily see the file and catch up on your history before joining you in a conversation. When you ask to speak with a superior, you don’t need to re-hash the entire experience. Since everything is on the record, you’ll also have to be careful to watch your language and keep a calm demeanor, and you’ll see the benefits of better, faster service. Most people I know do not have the luxury of working in an office with a door. These days, even highly-compensated employees work in cubicles surrounded by dozens of co-workers. I am a private person, and I am not comfortable airing all of the details of my personal life and finances with everyone who happens to be in earshot. And I avoid announcing and repeating my account numbers for everyone to hear. It’s unsafe, and it’s not very polite. With an online chat, my keystrokes are the all the noise I make, and all anyone can hear. As a customer, I demand the best, and I’m eager to resolve problems when I have them. I also seek technical support from manufacturers when any of my devices aren’t working properly. To get the best results, I have to spend a lot of time working with customer service representatives and service technicians. Until I can afford to pay someone to handle all of my affairs for me, I need to be smart about the time and energy I spend seeking help. Chat has proven to be my most efficient option, and it gets me the best results while conserving my time, money, and privacy. What about you? Do you prefer chatting with customer service, or have you had a terrible experience that turned you off?